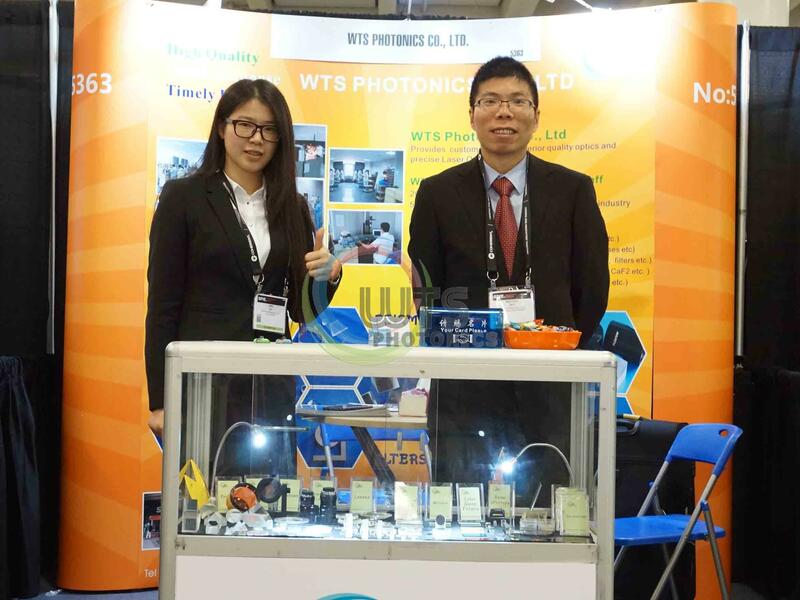 WTS attended the Photonics West 2017 at USA from Jan 31th to Feb 2nd. WTS booth is: 5363. 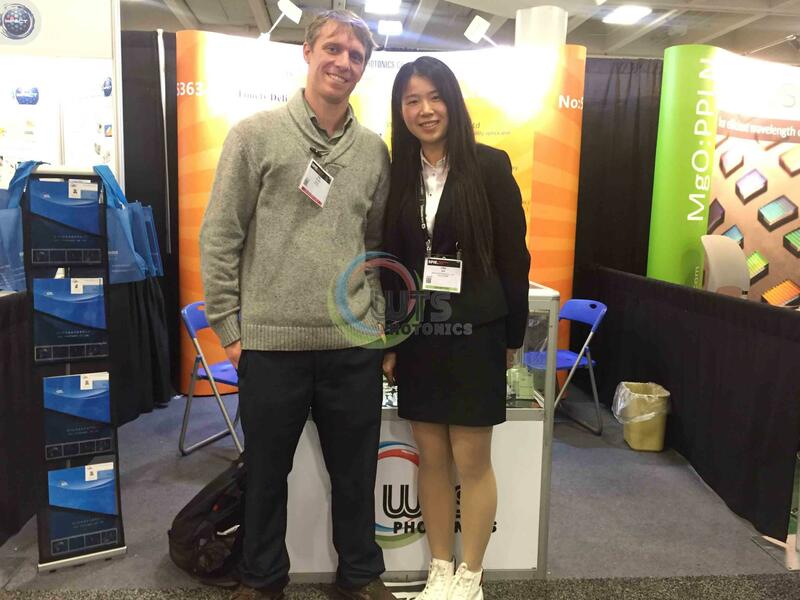 The SPIE Photonics West 2017 Exhibition has held on Jan.31th to Feb.2nd 2017 in San Francisco, USA. This year, the Record-breaking Registered Attendance of 23,059! 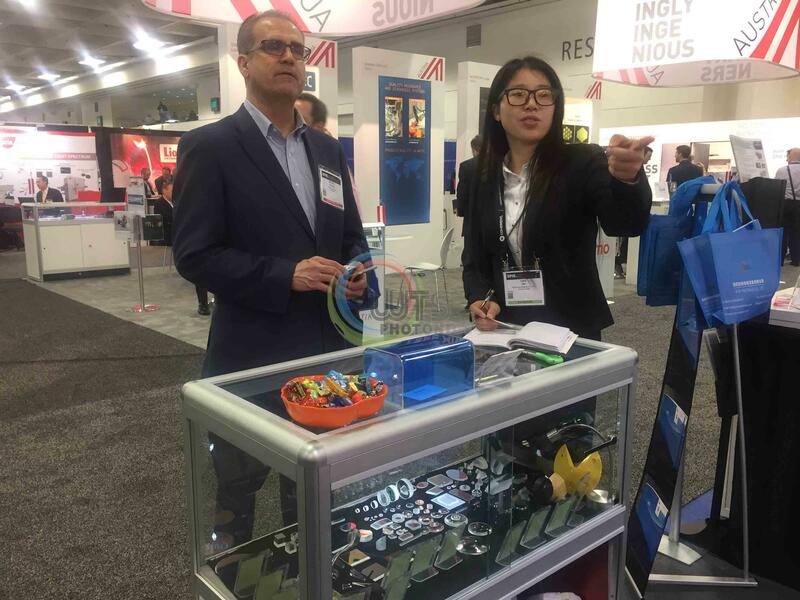 The 1384 exhibitors came from USA, Germany, China, Canada, Japan, South Korea ,UK, France, Australia, Finland, Holland, Poland, Italy, Switzerland, Israel, Belgium, Bulgaria, Lithuania and so on. 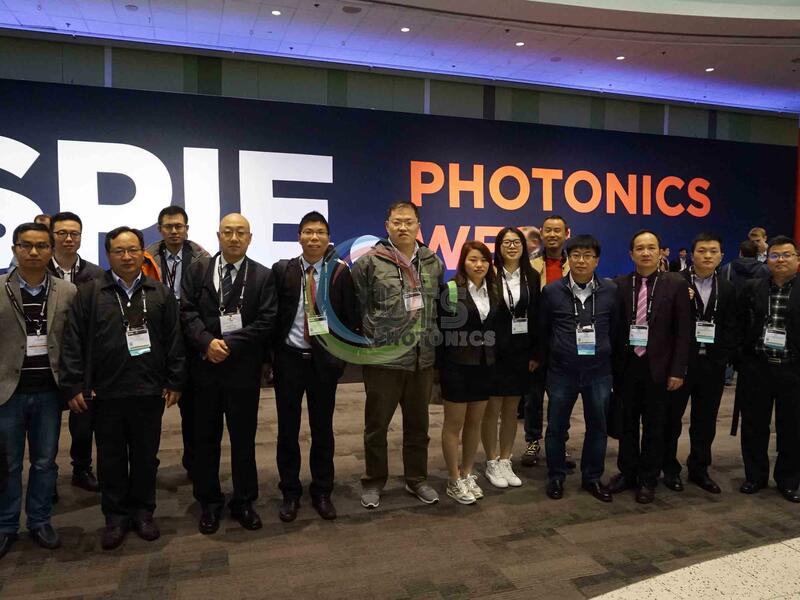 Most of them are the member of the SPIE. And there are about 120 exhibiting companies from China. 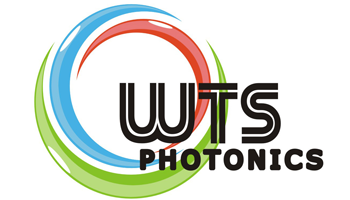 WTS PHOTONICS, as a professional optical components manufacturer, of course has succeeded participated to show Plano-Concave Lenses, Optical Glass Achromatic Lenses, Hastings Triplet Achromatic, Lenses Optical Lenses,Lens assemblies, High Precision Windows, Mirrors, Prisms, Waveplates, Glan series Polarizer, Cube Beam Splitters, PBS and NPBS and various Nonlinear Crystals and Laser Crystals like BBO Crystals, LBO Crystals, YAG Crystals, ND:YAG Crystals, DKDP & KDP Crystals, KTP Crystals, KTA Crystals, LINBO3 Crystals, ND:YVO4 Crystals etc.